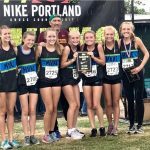 Big props go out to Tracy Harris and his Girls XC team for winning the Nike Invite this past weekend in Portland. Sophomore Lexy Halladay, was the overall girls winner! 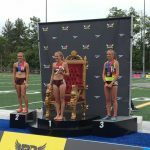 Lexy Halladay landed on the podium again today, as she finished thrid at the 2017 Brooks PR Invitational in Seattle. Lexy was the only freshmen in the race and finished with a time of finished in 4 minutes, 44.24 seconds. Amazing season for Lexy! 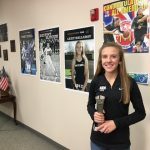 Today, Lexey Halladay, the 2017 Idaho Gatorade Runner of the Year was presented her Gatorade banner and Gatorade trophy. 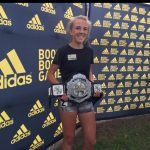 Lexey is the third Gatorade Athlete of the Year at Mountain View in the last two years and sixth Maverick to win the Award. 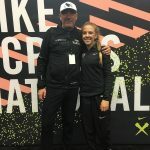 Congratulations to freshmen Lexey Halladay for finishing 16th out of 200 runners at the Portland NXN on Saturday. Lexey’s 16th place finish is the best overall finish for an Idaho girl and by finishing in the top 20, as a freshmen, Lexey was named an All-American! 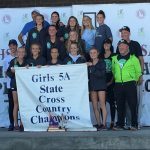 Congratulations to Head Coach Tracy Harris and his boys and girls XC teams at State this past weekend in Pocatello. 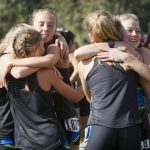 The Girls finished as State Champs, Lexy Halladay was the overall winner for the girls. The Boys ended up finishing third overall. Congrats MAVS to another amazing season!